MILAN (Bloomberg) – Fiat S.p.A., the Italian carmaker that operates Chrysler Group, reported a third consecutive quarter of net income, powered by Iveco trucks, Case New Holland tractors and auto demand in Brazil. Fourth-quarter earnings before interest, taxes and one-time items, which Fiat calls trading profit, rose 26 percent to 615 million euros ($844 million), exceeding the 598 million-euro average estimate of 13 analysts surveyed by Bloomberg. 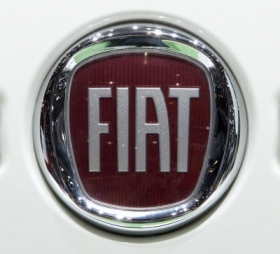 Net income reached 318 million euros, compared with a 283 million- loss a year earlier, Fiat said Thursday. The results are for Fiat Group before the company spun off its industrial businesses into Fiat Industrial SpA this month.CEO Sergio Marchionne, 58, separated Fiat's trucks and tractors units to focus on carmaking. Italy's largest manufacturer led a ninth consecutive monthly decline in European car sales in December as demand waned after government incentives expired. Fiat Industrial shares fell in Milan after the CEO didn't raise 2011 forecasts. Fiat reiterated its April forecast for about 37 billion euros of revenue and as much as 1.2 billion euros of trading profit at the new Fiat in 2011. Fiat Industrial will have about 22 billion euros in 2011 sales and as much as 1.4 billion euros of trading profit, the company confirmed today. The average estimate of nine analysts surveyed by Bloomberg is for a trading profit of 1.59 billion euros. CNH Global NV, the agricultural equipment maker that is part of Fiat Industrial, today reported fourth-quarter net income of $209 million, compared with $28 million a year earlier. Net equipment sales jumped 17 percent to $3.8 billion. Marchionne, who aims to improve productivity and capacity utilization in Italy, this month won workers' concessions over a 1 billion-euro plan to revamp Fiat's Mirafiori factory. Fiom Cgil, Fiat's biggest union which represents 10,000 of the carmaker's 83,000 workers in Italy, opposes the deal and has called a general strike tomorrow among metalworkers against the CEO's plan to curtail absenteeism and strike rights. Fiat intends to produce as many as 280,000 cars and SUVs annually at Mirafiori for the Jeep and Alfa Romeo brands as part of its venture with Chrysler. Production is scheduled to begin by the fourth quarter of next year. Mirafiori is part of Marchionne's 20 billion-euro investment project, dubbed “Fabbrica Italia,” to revamp Fiat's five remaining Italian car plants excluding Termini Imerese, which will stop producing cars by the end of 2011. Fiat aims to make 1.4 million vehicles annually by 2014 from 650,000 in 2009. This month, Fiat won an additional 5 percent in Chrysler, boosting its stake to 25 percent after the Auburn Hills, Michigan-based automaker met a performance-related target. Fiat Industrial is planning to sell as much as 2.2 billion euros of bonds to refinance a loan arranged in December, two people familiar with the matter said Wednesday.